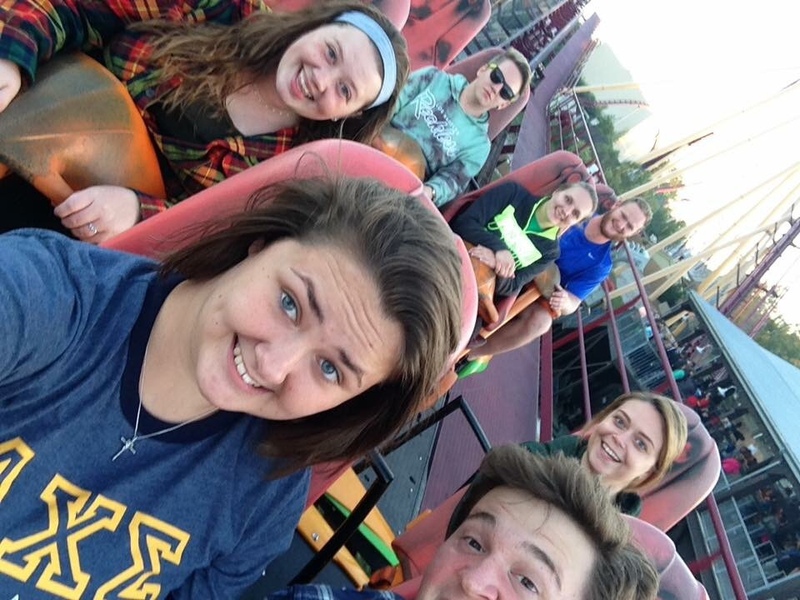 Members of the Alpha Chi Sigma Gamma Eta chapter took a weekend trip to Kings Island. As part of rush for the spring of 2016 members and pledges volunteered at a Soup Kitchen in Huntington. All of those who went felt that the experience was very rewarding, and as a result the chapter will now be volunteering the final Thursday of every month. Some actives of ΑΧΣ hold free tutoring sessions that are offered at various times through scheduling. This is an excellent opportunity that allows our members to reach out to and help fellow peers who share the same major. If anyone may be interested in this, please stop by the swamp (S477). Rush this semster was one of the most memorable yet, generating interest from many students. 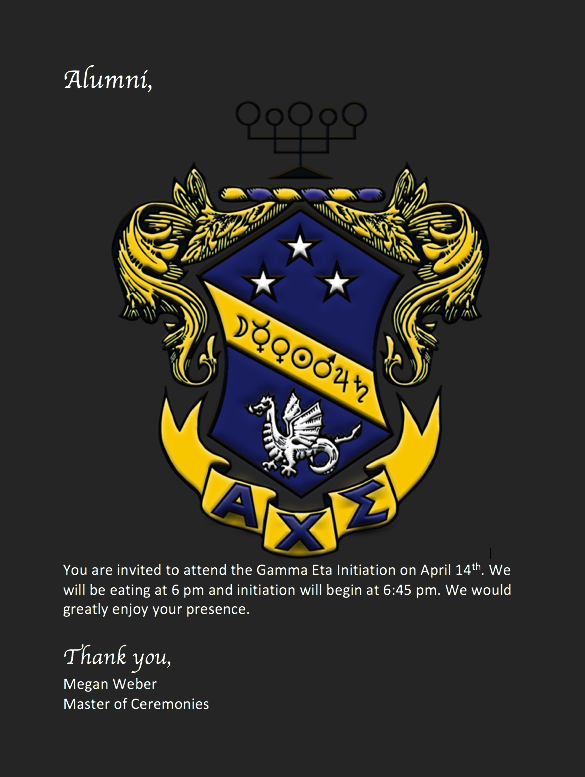 Rush lead to the pledging of 17 potential Gamma Eta members. 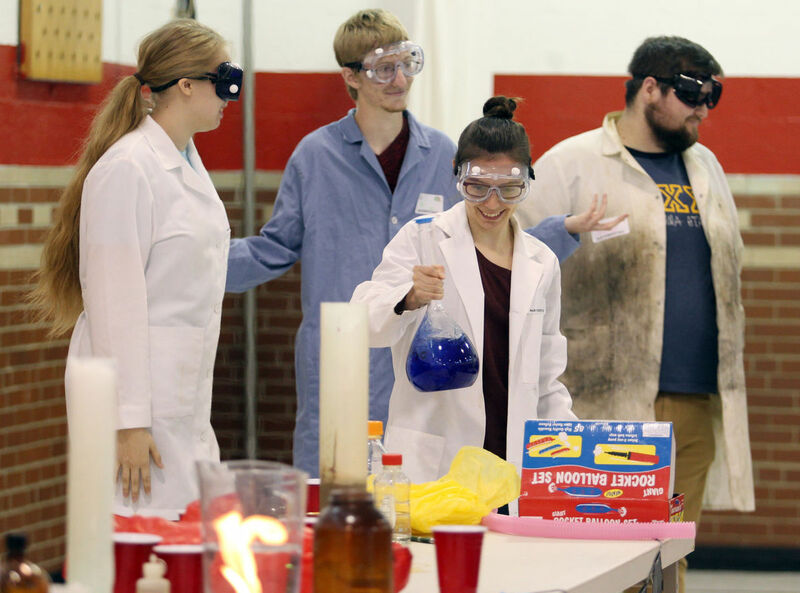 In the month of November, 2014 the Fall 2014 pledge class hosted the first Nerd Herd Cookoff. Faculty in the various science departments prepared dishes and took them to the student center, were students voted for their favorite dish. Professor Alexander of the Chemistry Department won the competiton with his delicous pumpkin upside down cake. The Gamma Eta Chapter hosted East-Central District Conclave on April 5th, 2014. While Gamma Eta is now apart of the Bluegrass District, this is still a recent event we are proud of. 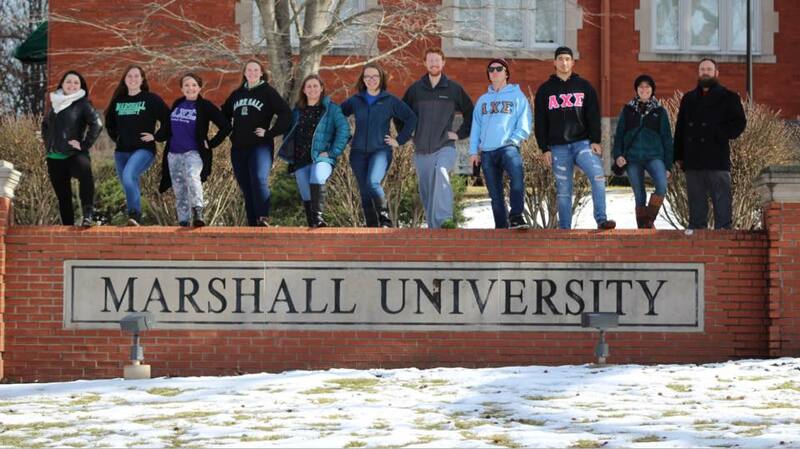 In a day filled with seminars and activities, the Brothers from Marshall University, James Maddison University, The University of Virginia, and Virginia Tech had fun touring the Marshall's Forensic Science Master Program's crime scene house while learning about this nationally-ranked program. 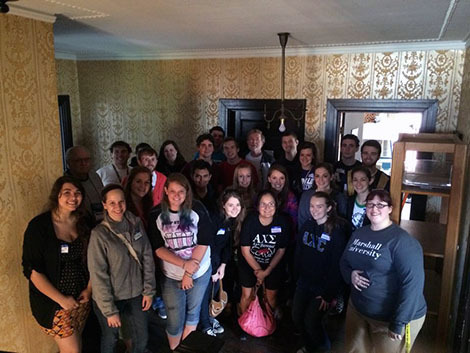 Brothers pose in the crime scene house during District Conclave. 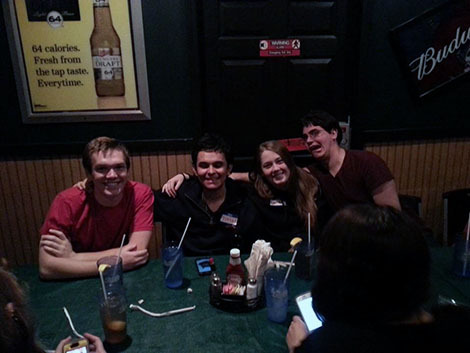 Brothers from Alpha Kappa join members of the Gamma Eta Chapter at Huntington's popular restaurant Fat Patty's. 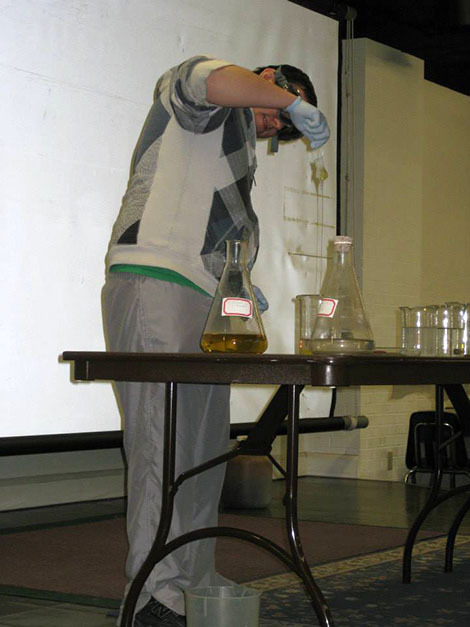 The Gamma Eta Chapter also hosts many Chemistry Magic Shows for local elementary and middle schools. If you are a science coordinator for local schools in Huntington or the surrounding area, contact our officers to arrange a Magic Show. 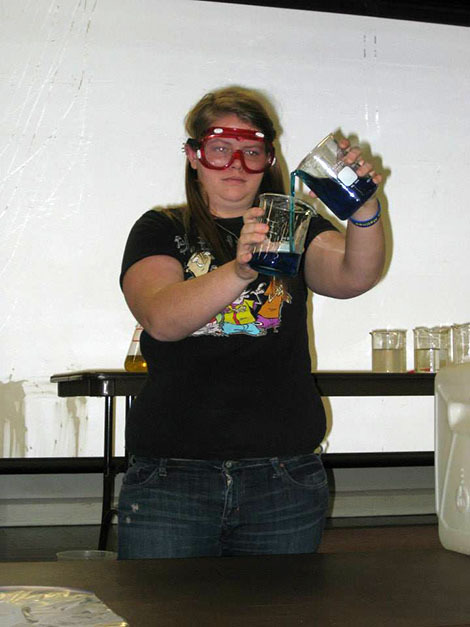 We also judge science fairs! Contact us for information. 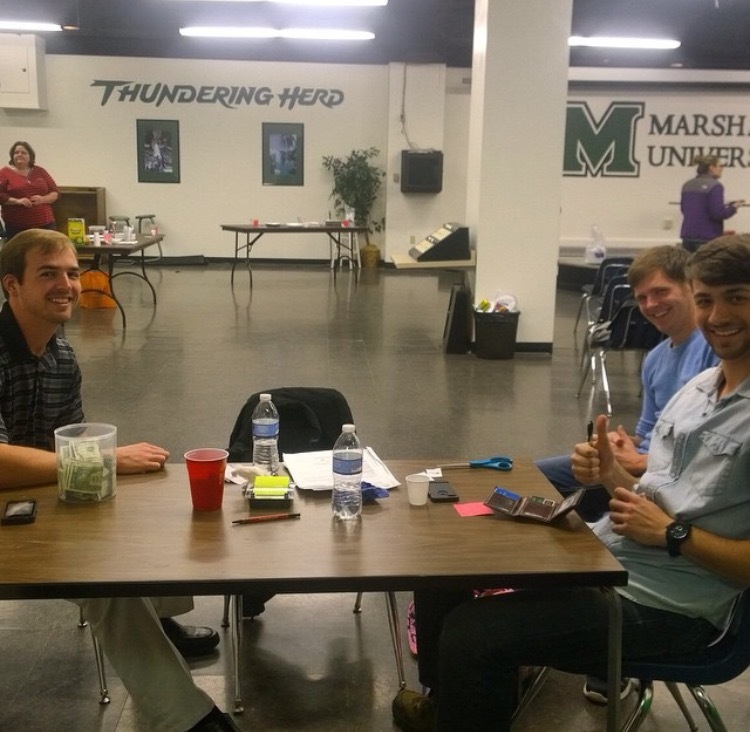 Brother Caleb Calvary participates in a Magic Show during Engineering Week at Marshall. Brother Randi Wilson praticipates in a Magic Show for local fourth-grade students. On April 18, 2017 these first through fourth graders watch in astonishment as Brothers Marie, Ethan and Alli turn three simple ingredients into something delicious! 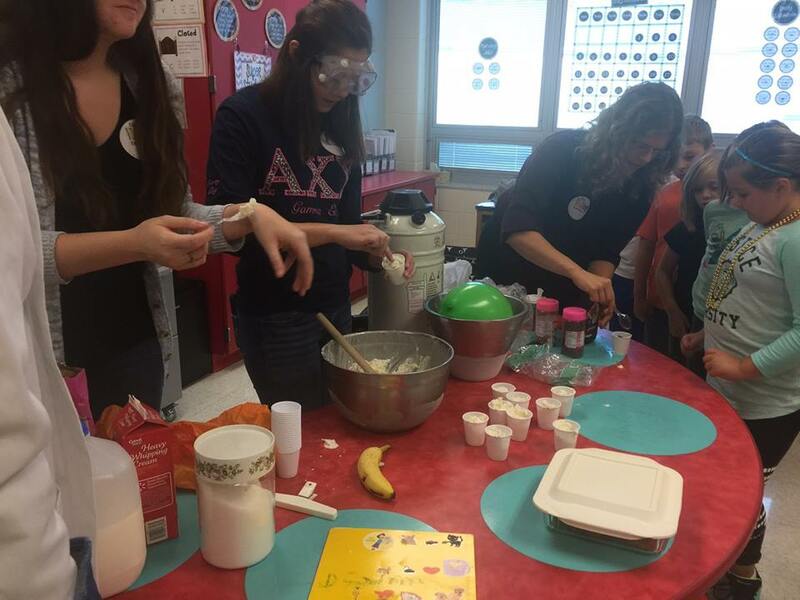 Deben, Grayce and Dr. Q making everyone's favorite: liquid nitrogen ice-cream! 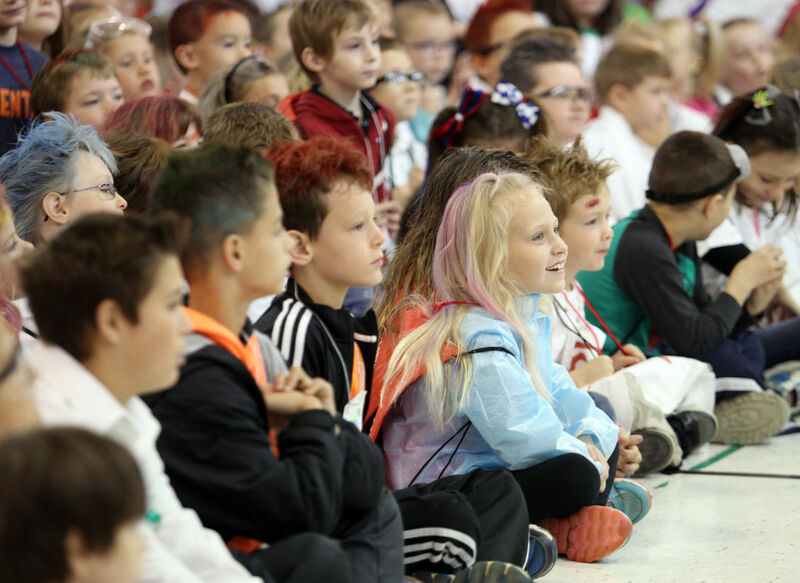 was held Friday, Oct. 28, 2016, at Hite-Saunders Elementary School. Brandi looks like she is definitely cooking up something intense! Zach: "Are you not entertained?" William, Natalie, Carleigh, Zach, Amanda and Tim. 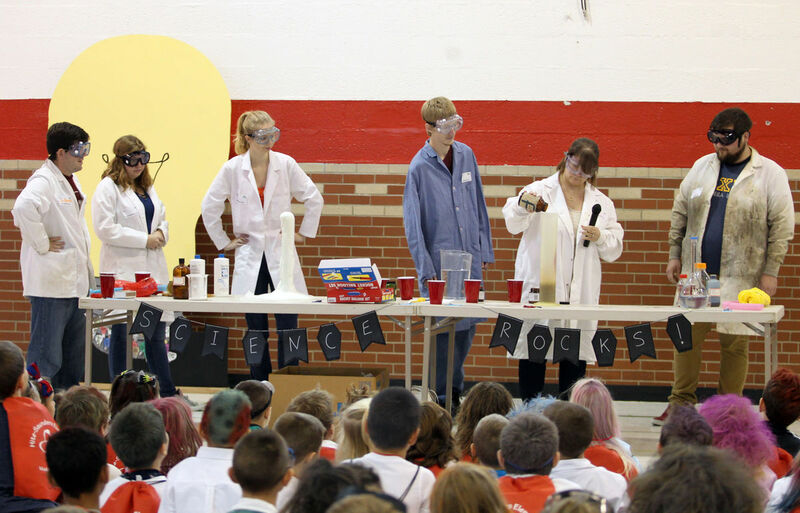 Science Rocks! The look on their faces say it all.